Dash Liquor located at 2102 Paris Road reported a robbery on October 29, 2017. 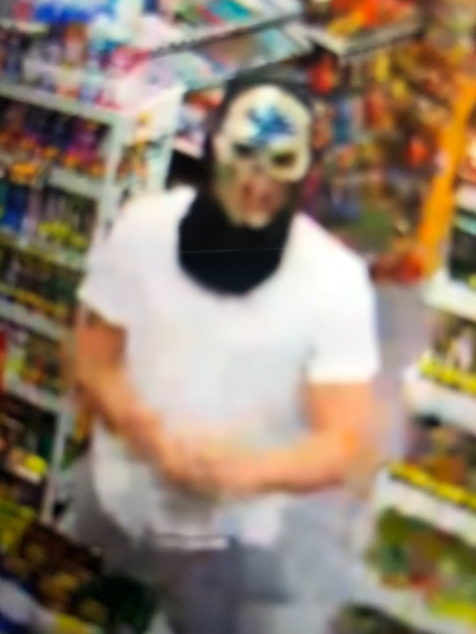 The suspect entered the business wearing a mask and carrying a backpack, displayed a handgun and demanded money from the clerk. The suspect fled the store without obtaining any money or property. Surveillance video turned over to CPD shows this person as the suspect. If you have any information regarding this person’s identity or whereabouts, contact CrimeStoppers at (573) 875-TIPS (8477).